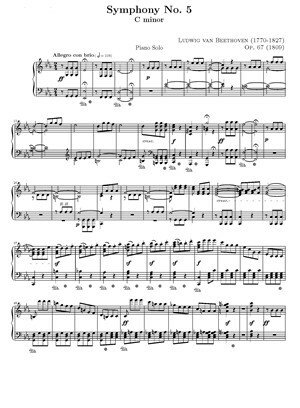 Piano Reduction of Beethoven’s 5th Symphony, 1st movement. Piano Sheet Music. File Size : 874kb approx.